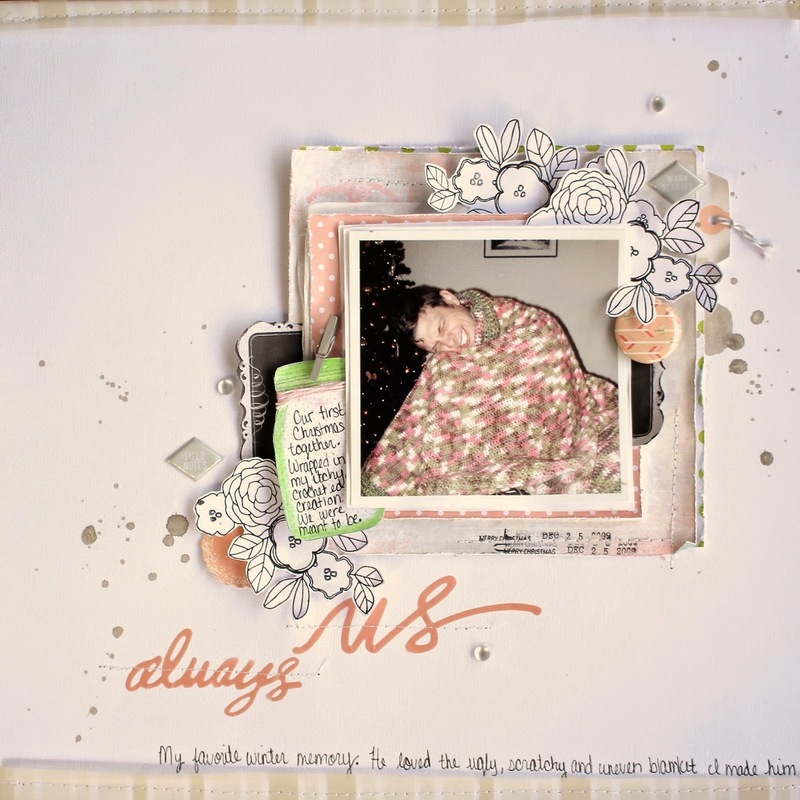 Scrap-ditali-ocious! I don't know why that word just popped into my brain. My brain is so random and it usually thinks like a 7 year old about 50% of the time. It's fun though. Anyway, Guess what? 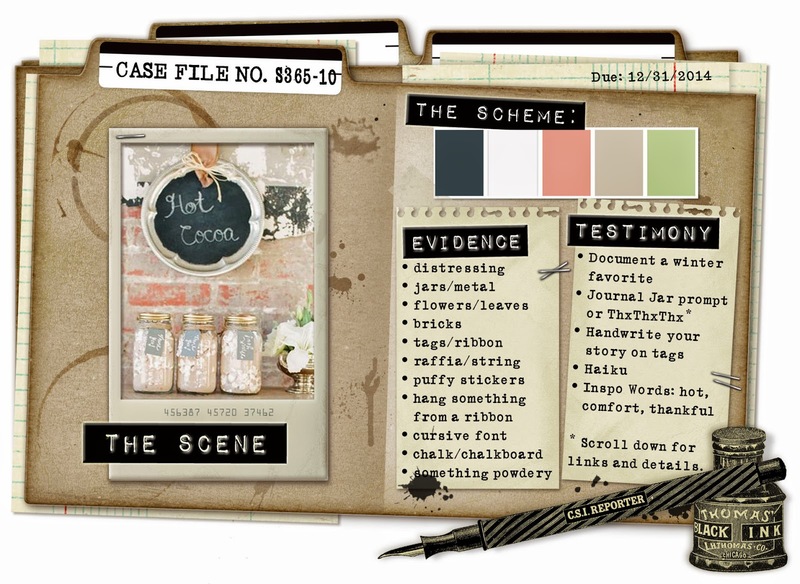 Last night was reveal night for CSI's Challenge- Case File #s365-10. The photo is from Christmas Day 2009. Me and my husband's first Christmas together. I made him this really ugly, uneven, itchy, pink blanket. It was my first crochet project, obviously. He wrapped himself in it like a tortilla and said that it was the most beautiful blanket that he's ever seen. Yeah right, but he was very touched that I spent so much time making him a gift. Bless his heart. At that moment, I knew we would always be together.